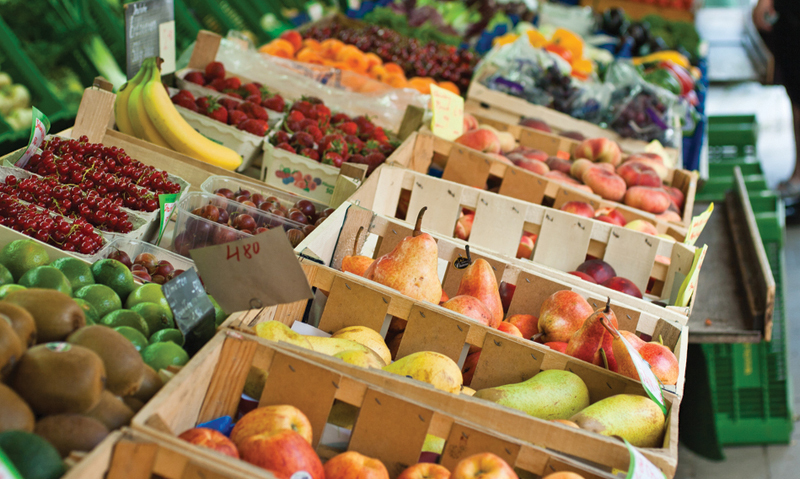 ABOLISHING the goods and services tax exemption for fresh fruit and vegetables could have far-reaching health consequences, say Queensland researchers, as repeated calls are made for the rate and breadth of the tax to be reviewed. The MJA authors wrote that adding GST to fruits and vegetables could cost about 100 000 healthy life-years over the lifetime of the 2003 Australian adult population, due to an additional 90 000 cases of ischaemic heart disease, stroke and cancer. “This extra disease burden could add a billion dollars in health care costs over the same period”, they wrote. Using a US price elasticity model (size of the reduction in demand for a commodity versus size in the increase in price), the researchers estimated that removing the GST exemption for fresh foods would result in a 4.9% reduction in fruit consumption and a 4.8% decline in vegetable consumption. Professor Stephen Leeder, professor of public health at the University of Sydney and editor-in-chief of the MJA, said he was “not deeply worried” about the possibility of a GST being levied on fresh fruit and vegetables and was wary of using models to predict behaviour. He was also doubtful that the GST exemption on fresh fruit and vegetables would be lifted. “It would be curious politics to put a GST on fresh food, so I find it politically implausible — I really don’t think it’s going to happen”, he said. Professor Sue O’Malley, associate professor of health economics at the Australian School of Advanced Medicine, Macquarie University, said while she queried aspects of the modelling used in the letter — including the use of a US model, which may not reflect Australian attitudes to fresh fruit and vegetables — it did raise an important issue. “Although some of us might think it’s improbable that [the federal government] would increase the GST or put a GST on fruit and vegetables, if you look at what the government’s doing on the tax deductibility of health costs … it’s not at all outside feasibility”, she said. She also queried the letter’s finding that a 10% price increase would prompt a 5% drop in fruit and vegetable consumption, but said adding GST to fresh foods could send the wrong signal to consumers. “The elasticity of demand for a product is influenced by the consumer’s perception of the importance of the commodity. If consumers perceive fruit and vegetables to be important, their demand for these commodities will not drop as much [in a response to a price increase] relative to if they consider them to be less important”, she said. Nobody seems to want tax reform that is structurally sound and directly linked to population economic activity!! Personal income tax & company tax increases are just not going to produce enough long-term revenue – we should all understand that by now!! Why don’t we just put the Medicare Levy & the Disability care Levy onto an expanded as possible GST at rates that actually cover the costs of these schemes? Surely this would be the most palatable method of long-term funding for these almost universally lauded schemes. We already live in one of the world’s most heavily taxed societies. Indeed if you add them all up, there are well in excess of 100 taxes.To further tax vulnerable people in the low income groups of whom many live on or below the poverty bread line would be political suicide. We need to consider improving the health of the population, not making it worse by taxing fresh fruit & vegetables. If you want to raise taxes to support essential health measures and disability insurance, why not increase the tax on commodities such as alcohol and cigarettes which contribute to the causes of ill health?The government could also take a larger slice from all the gambling casinos and betting on all forms of sporting activity.I also note that proponents of increased taxation on food are the ones who can easily afford it…not the pensioners or self funded retirees! Supermarket fresh food prices are already extraordinarily high and I imagine it is not the farmers who are benefitting. Not all those on low incomes have the transport to get toof cheaper sources such as weekend markets or Aldi (Aldi often excluded by the Big Two from more convenient locations.) Just try lugging bags of heavy shopping on buses when you are a pensioner. Buying on line requires a computer – not an option for all. The cost of buying the ingredients for a healthy meal may well far exceed the cost of an instant fast food alternative because, in general specials and cheaper options in fruit barns and supermarkets are in large volumes geared towards households who can afford large refrigerators – the smaller the quantity you buy the more you pay per kilo – and buying a new fridge on a pension is a major hurdle so often the choice is of necessity a small or a second hand one. Even with an appropriate fridge, buying in large quantities also necessitates forward planning skills, taking advantage of seasonal produce and imagination in cooking so as not to waste expensive food or keep it too long – skills which in general are learned within a well organised family and are probably somewhat rarer in lower socio-economic populations. It is not surprising that the lack of GST on fresh food has not significantly reduced waistlines. We have become a fast food society and it is going to take a lot of incentives and education to turn this around. Putting GST on fresh produce, health services and education would be a retrograde step and while it may not seem like a significant impost to polticians on six figure salaries, to pensioners and other low income families it certainly is.